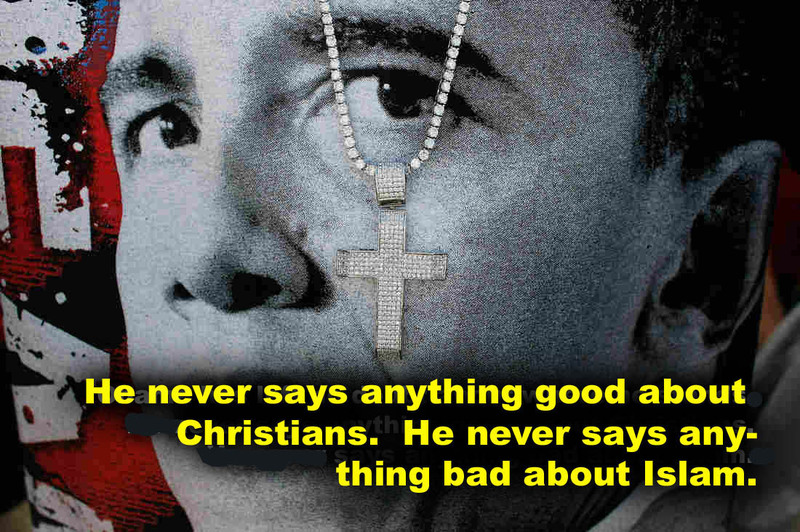 There is no longer any possibility of innocent Christian support for Obama. There is no way the “prophetic movement” will have any legitimacy if it ignores the true role of prophets. It came to a head when I met with the leader of a famous revival organization. I assumed that this would be the last place I would find compromise. To my horror and surprise he warned me that my comments about Obama were opposite their culture. In other words, I had to shut up about Obama or I couldn’t preach there anymore. My response was immediate and direct. “What if this is the same cheap grace, false honor excuse that the pastors of Germany used to remain silent while Hitler expanded his power? 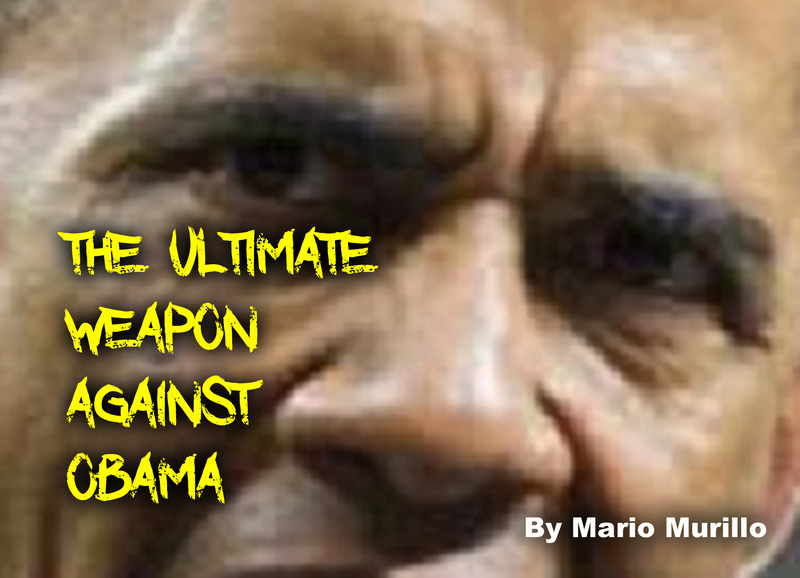 What if God is ordering His vessels to rebuke Obama? Do you want to be one of those men of God with blood on his hands because you remained silent when you should have rebuked the tyranny?” He said he agreed with me but I never heard from him again. This kind of ministry, in this current crisis, is extreme denial bordering on insanity. Christian television should be calling the Christians to action against the war on our values! Since the first misguided “Christian psychologist” discovered that Christians needed to feel valuable, we have been treated to an unending stream of toxic sludge that has left the army of God flabby, drowsy and AWOL during America’s greatest moral disaster. At some churches, rolling on the floor, drooling while making animal noises is considered the “moving of the Spirit.” Then there is the other extreme: Pastors preach sermons that sound like a late night monologue, stringing together phrases straight out of fortune cookies, making sure that they end on time and leave the audience spiritually unscathed. Both extremes carry the same lie: We have become too valuable for sacrifice. We are too blessed for the Cross. We are too entitled to join the rest of the Christian world in persecution and holiness. God is sending the “Preachers of Los Angeles” and all the rest a solemn warning: START LIVING AND TELLING THE TRUTH OR THE ANOINTING AND BLESSING ON YOU WILL VANISH. . God is issuing a dire warning to the false prophets who infest the church: REPENT OR IT WILL COST YOU YOUR LIFE AND YOUR SOUL! Barrack Obama has left us no choice. He never says anything good about Christians. He never says anything bad about Islam. He foments racial hatred, destroys marriage, and respect for the police (he has given more due process to the terrorists in Guantanamo than to our cops). He punishes Israel. He is working to wipe out the freedoms and hopes of the next generation. He is a wounded animal bent on destroying everything we hold dear. If the ministers of God had obeyed the Holy Spirit they would have risen up in one voice of holy outrage and driven the king out of office. Moses rebuked Pharaoh. Samuel rebuked King Saul. Nathan rebuked David. Daniel rebuked Nebuchadnezzar. John the Baptist rebuked King Herod. Stop it! Don’t use the title prophet unless you are willing to rebuke Obama and his abomination. Speak truth to power or you are nothing but a prophetic poser. There are signs of hope. A very successful pastor prepared to do a series based on the Wizard of OZ at his mega church. He spent thousands on props. He wanted to dazzle his congregation. Then one night he woke up from a deep sleep and realized that God had left him. He felt utterly devoid of God’s presence and peace In his life. He despaired of life itself. No one should be confused about what Obama’s agenda is doing. It is demonically designed to destroy everything that made America great. Once you get past the shock of that statement, you are ready to be a part of the cure. It is time to wake up every intercessor, every prophet and apostle. You need to see the great goal—the end game: Revival. Revival in America would dismantle these anti-God policies. Revival would wake up hearts in the State governments to reject Washington’s life-killing policies. The true child of God cannot pin their hopes on the next election. Both parties are poisoned. Democratic leadership feverishly pursues an anti-Christian America. 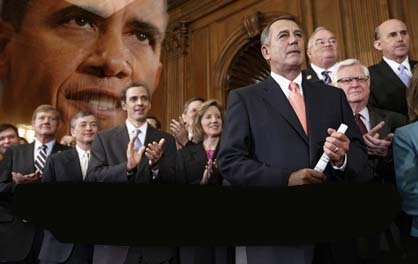 Republican leadership is compromised by their need to hold on to the status quo. Revival—presented as a weapon to stop Obama, Hillary Clinton and the usual suspects—will no doubt make some who read this squeamish—but it has great historical precedent. In history, a core of God’s people have been revived at desperate times to take a stand—first in prayer and then in action. Praying down tyrants and their policies is a key part of our legacy as believers. The Bible shows us Mordecai crying out to God to stop genocide—his prayer fueled the miracle of Esther. We see Daniel fasting and praying—this catalyzed the king to decree the release of the Jews from captivity. We see the New Testament saints calling out to God in passionate prayer—Saul of Tarsus is converted to Paul the Apostle. It happened in London during the bombings in the Second World War. The Luftwaffe—the bomber and fighter planes of Hitler—were on their way to destroy England. This was a battle that the Brits could not win…it was certain defeat. The next battle of intercession was over the air-raids, and the crisis of the “Battle of Britain”, when Goering made his great attempt to gain mastery of the air in preparation for the invasion of England. In each of these vital matters, nothing was left to chance or a shot-in-the-dark type of praying. Everything was examined in God’s presence and motives were sifted, until the Holy Spirit could show His servant intelligently that there was an undeniable claim for prayer to be answered. Then faith would stand to the claim and lay hold of the victory; and there would be no rest until he had God’s own assurance that faith had prevailed and victory was certain. Mr. Churchill, in his War Memoirs, gives September 15 as “the culminating date” in that Battle of the Air. He tells how he visited the Operations Room of the R.A.F. that day and watched as the enemy squadrons poured over and ours went up to meet them, until the moment came when he asked the Air Marshal, “What other reserves have we?” “There are none,” he answered, and reported afterwards how grave Mr. Churchill looked, “And well I might,” added Mr. Churchill. Then another five minutes passed, and “it appeared that the enemy were going home. The shifting of the discs on the table showed a continuous eastward movement of German bombers and fighters. No new attack appeared. In another ten minutes the action was ended.” There seemed no reason why the Luftwaffe should have turned for home, just at the moment when victory was in their grasp. But we know why. Divine intervention is now as desperate for America as it was for England in the Great War. We do not have a Hitler without, we have a president within. We have not yet faced bombs…but the devastation is just as real. The policies of the White House are as destructive as enemy bombers. But there is great hope if we act now! Pastors, do not wait for your denomination to feel urgency. People, don’t wait for a reluctant pastor to form fiery prayer cores. Revival cannot be a church-growth tool. It cannot be for emotional pleasure. Its purpose is much higher and deeper than these trivial pursuits! It is the retaliation of heaven against the onslaught of godless policies. It is the tool of our deliverance from destruction. However, if you are still laboring under the delusion that Washington is just misguided and this is simply a matter of political opinion—you will not see revival—you are not feeling the heartbeat of God. But what about preaching the Gospel? I do that every night. There will never be a meeting without a soul-winning appeal. However, it is because of souls that we must defeat Obama. His policies have turned evangelism into a hate crime. He means to snuff out the light of the Gospel that goes out from America to the rest of the world. That is why his policies are the target of revival. We cannot seek revival lightheartedly. We dare not desire it for selfish ends. We cannot afford to be divided by stupid disagreements. Find common ground or lose your nation—it is as simple as that. In Branson, we are watching a weapon being forged every night. These mighty warriors are not coming to be blessed but to contend for one nation under God. The healings are wonderful but that is not the goal. The amazing presence of God is indescribably wonderful but that is also not the goal. These people see that Satan’s plan to dismantle America is the target and tearing down those strongholds is the goal—it is the prime directive. The Branson meetings are officially lethal to Satan because the people see it as a weapon to undo what Obama is trying to do to America and Israel. Period. My posts rebuke and warn—people wonder, “Mario, what is your problem?” My “problem,” is not what they think. I do not suffer from fear or anger. My problem is just the opposite: I suffer from Positive Militancy. I see no excuse or reason that America cannot be greater than ever. I see no reason why the believers in America shouldn’t and couldn’t lead the world in revival and soul winning. The current situation drives me batty because it is all so fixable. Our crisis is dangerous but it is a stupid danger and the stupidity is so unnecessary. I am not negative or fearful. My problem is that I serve a God who is limitless in power and wisdom. His excellence infuses me with zeal to declare that we can be and do better. To all Americans I say: There is no reason for us to cower before rogue governments or terrorists. We can restore our economy. 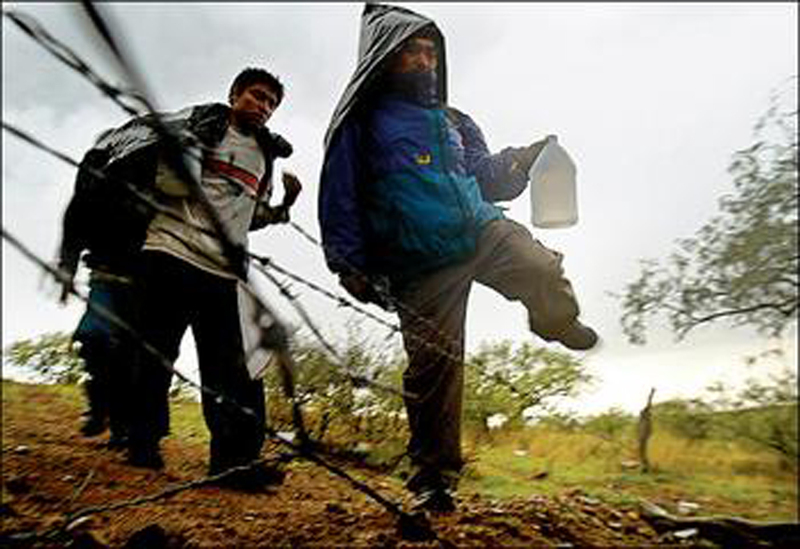 We can secure our borders. We can fix our crumbling cities. We have the best workers in the world. We can treat them right. We can fix our schools and educate our children. I still believe we are still the land of the free and the home of the brave. I still believe that there is greatness in our character but our sane voices are being drowned out by pill popping, pleasure seeking, clowns who self-identify as victims. We can fire all of the clowns in Washington and put people of vision and patriotism in their place. I am pulling my hair out because none of this is that hard…we have just been sold a lie. We have had our confidence broken. We are down but we are not out! Wake up America! To the American Church I say: I serve a God who is limitless in power and wisdom. His excellence infuses me with zeal to declare that we can be and do better. We can expose the god haters and their bankrupt ideas. We are not supposed to sit down and shut up. A weaker church with a smaller voice is not the new normal—it is blasphemy to think that! If American Christians wake up…Satan doesn’t stand a chance. If we get out of the way of the Holy Spirit, He will unload a barrage on evil that would be breathtaking! An amoeba has a better chance of surviving on the surface of the sun than Satan to survive against God. I believe that we can stop praying weak prayer and start praying prayers that would tear down the lies of Lucifer. No pastor should ever have to make a decision based on fear or unbelief. What is the matter with all of us? We didn’t use to scare so easily. Pastors didn’t use to seduce people into serving God. We didn’t back down and we didn’t let ourselves starve on the table scraps of diluted preaching. You don’t need to buy a generator or store tons of food. You need to get in the war room. Let God strip you of all of the stuff that this culture put on you. Let Him infuse you with glory. I know that we believe that perfect loves casts out fear but so does perfect fear! Let me explain perfect fear…Isaiah went into pray crushed under a weight of care. He was neutralized as a prophet. No doubt he wanted an Ovaltine, a cookie and a pat on the head from God. What he got was a display of God so terrifying that it scrambled his molecules! He screamed in utter horror but he got the point: The thing to fear is God! But I am not railing because our best days are gone forever. It’s just the opposite. I see no reason why we can’t have them back. My resolve to get them back fuels my rebukes. My writing is driven by equal parts urgency and faith. I can’t hold back, the nation hangs in the balance and I can’t hold back because I know my God is mighty to save and His people are unstoppable when they obey. Admiral Yamamoto led the attack on Pearl Harbor. He felt deep anguish while Japan’s leaders congratulated him on a decisive victory. He found out that Japan’s diplomats failed to deliver a final warning to Washington. He said, “I know the Americans. I went to their schools. This will only anger them. I fear that all we have done is awaken a sleeping giant and fill him with a terrible resolve. I am trying to slap a sleeping giant. Franklin Graham just said: “The Storm is coming.” When Obama refused to say that the 21 people who were beheaded were Christians we crossed into extremely dangerous territory. The president of the United States will look the other way as Islam persecutes Christianity. 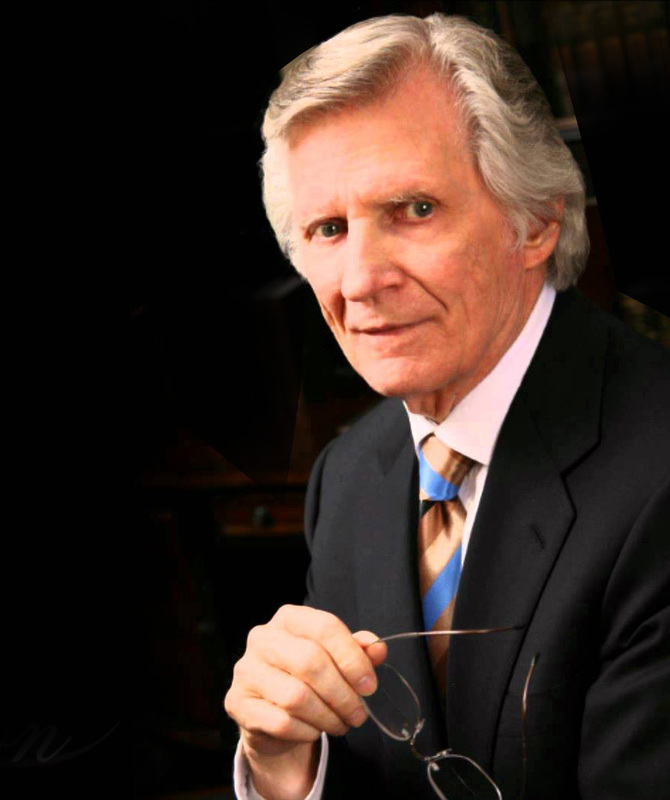 David Wilkerson saw a coming storm of persecution and violence. He saw devastation in New York with fire and massive death and rampant immorality. Few believed him because at that time, unemployment was less than 5% and because Disney had just taken over the seedy areas of Times Square area and made it family oriented. All of his words have come to pass. David Wilkerson: “The majority of churchgoers today soundly reject all prophetic warnings of a coming storm. Indeed, the American church today is the most blatant “feel good” church in all of history. But, like Israel, we’re only experiencing the calm before the storm! However, he also said God gives advance warning and provides protection. “Moreover, God is faithful to speak in times of prosperity, just before the fury of his judgment strikes. While the storm clouds are still gathering, he raises up prophetic voices all over the land. And, according to scripture, whenever a sinful nation was prosperous and at peace, God told his prophets to warn that the good times soon would end: “…the Lord hath cried by the former prophets, when Jerusalem was inhabited and in prosperity…” (Zechariah 7:7). Beloved, if we’re going to face the coming storm, then we need to be prepared so nothing disturbs our spirit. And the only way to do that is to spend time in the father’s presence, beholding his face. We have to be shut in with him – on our knees – until we’re thoroughly persuaded he’s at our right hand! God is clearly telling us, “Don’t be moved or agitated by anything you see. Keep your eyes focused on me – and you’ll retain your joy!” And according to David, Jesus testified, “…thou shalt make me full of joy with thy countenance” (Acts 2:28). We always have to keep in mind, God’s only purpose in lovingly calling us back to himself is to protect us in such times of storm. Yet often in biblical history, when he gave these warnings, the people refused to listen: “He sent prophets to them, to bring them again unto the Lord; and they testified against them: but they would not give ear” (2 Chronicles 24:19). In 1927 Smith Wigglesworth said a storm was coming that would cause many to fall away. This went against the grain of the roaring twenties giddiness and the heyday of Pentecostalism. He added that a remnant would know God as never before and who would practice extravagant asking. So God means me to press you another step forward. Begin to believe on extravagant asking, believing that God is pleased when you ask large things. Steve Hill saw vision of a coming storm that had the potential to destroy millions of Christians because of false teaching running rampant through the church. 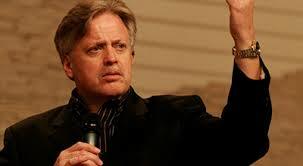 Steve Hill: The Lord began to speak. I trembled. The fresh, new snow represented the false teaching that is steadily falling on the ears of the body of Christ. It has been, and is, a heavy snowfall. The skiers represented believers and non-believers, trusting the resort for a safe and memorable experience. As Christians, we have been warned to be sober and vigilant (1 Peter 5:8). However, the present, awe-inspiring teachings have lulled many into a deeper sleep. Pastors and teachers worldwide have succumbed to heretical teachings including universal reconciliation, deification of man, challenging the validity of the Word of God including His judgments, and even lifting any boundaries, claiming His amazing grace is actually “amazing freedom.” You are free to live according to your own desires. Sound familiar? “They had no king and did what was right in their own eyes” (Judges 17:6). These popular self-proclaimed ministers of the gospel are covering the “slopes” and will be held accountable for the spiritual death of millions. 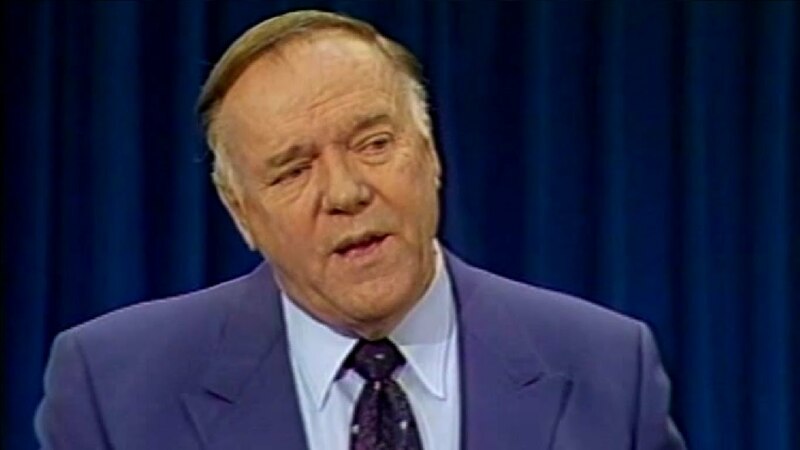 Kenneth Hagin: I looked at the scroll again, and again I looked to see what I had read about. I saw the skyline of a large city. Looking closer, I saw the skyscrapers were burned-out hulls. Portions of the city lay in ruins. It was not written that just one city would be destroyed, burned, and in ruins, but that there would be many such cities. 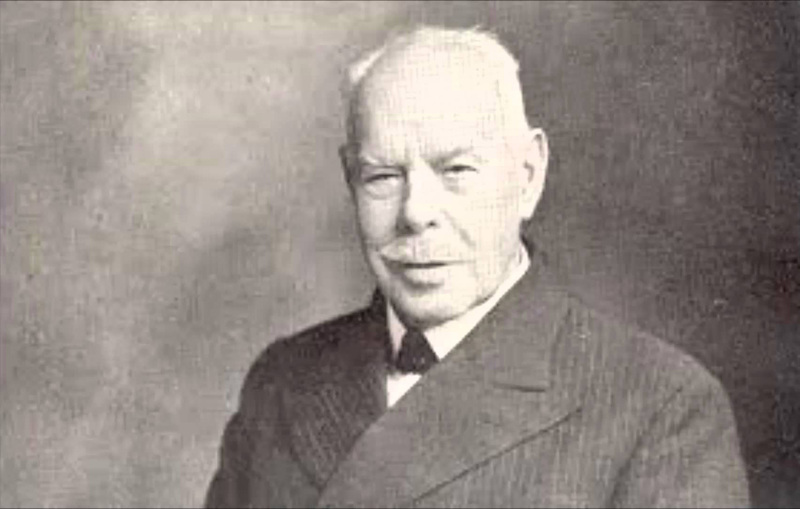 Smith Wigglesworth: We have to see that these days have to come before the Lord can come. There has to be a falling away. I want to speak to you very exactly. All the people which are pressing into and getting ready for this glorious attained place where they shall not be found naked, where they shall be blameless, where they shall be immovable, where they shall be purified by the power of the Word of God, have within them a consciousness of the very presence of God within, changing their very nature and preparing them for a greater thing, and causing them to be ready for translation. This is the day of purifying. This is the day of holiness. This is the day of separation. This is the day of waking. O God, let us wake today! Let the inner spirit wake into consciousness that God is calling us. There are in the world two classes of believers. There are believers which are disobedient, or I ought to say there are children which are saved by the power of God which are disobedient children. And there are children which are just the same saved by the power of God who all the time are longing to be more obedient. 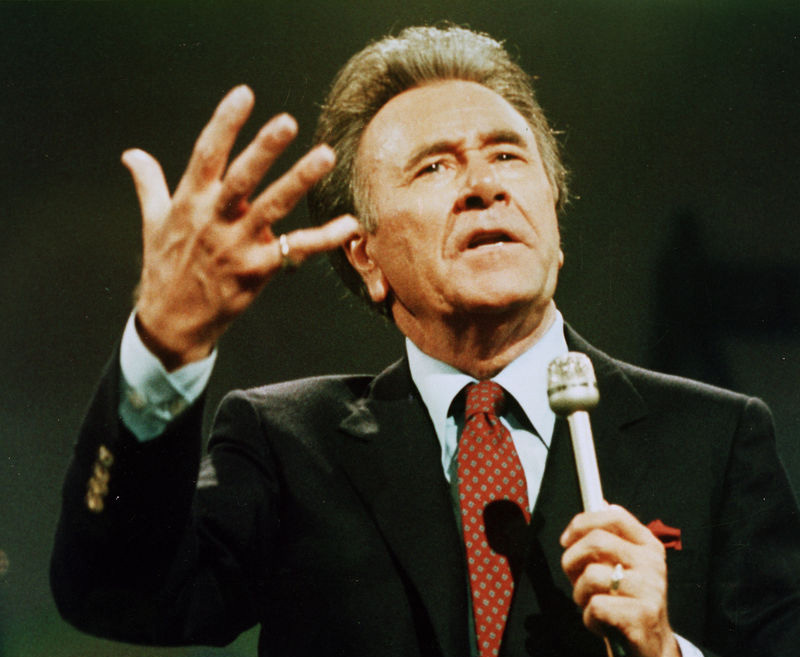 Oral Roberts was warning us about people who go to church only for themselves and of preachers who care nothing about reaching the world for Christ. How can we deny that this is true? We have reached the point where so many Christians are unteachable and Pastors are oblivious to the great commission. Now let’s put all of these words together and allow God to show us what we are to do to be strong, to be effective and most of all not to be deceived by the storm that is upon us now. David Wilkerson was trying to teach us that as God’s remnant in a storm of deception, violence and persecution we can be safe; we can even thrive. Steve Hill placed a great deal of emphasis on the massive amount of false teaching that would rob the church of her preparation, blind her to the right choices she should make, and leave her vulnerable so that she alongside of the world is destroyed. But he also provided the hope that repentance and true submission to God would provide a shelter from the storm. Kenneth Hagin was warning us that America had a final call. I believe we are at that call right now. He saw buildings burning and cities inundated by the judgment of God. However he also offered great hope that the people of God would even do greater things than the apostles did in the book of Acts. Now listen with all of your heart, with all of your might and with zero distractions. This storm will damage every compromised carnal Christian. Jesus was calling the foolish man who built his house on the sand someone who had heard the words of Christ but would not do them. That is the key right now. All of these warnings are for Christians. Stop being stupid. Stop following preachers that are weakening you, using you, and denying the coming storm. Get out of the churches that look like nightclubs. Get away from the seductive teaching that denies hell, the blood of Christ, the inerrancy of the Bible and the urgency of the great commission. Don’t follow their teaching. For heaven’s sake do not give them any money. Do not fellowship with believers who condone drunkenness or immorality. This compromised Christianity is precisely the house built on the sand that the storm will destroy. Press into God. The common thread that runs through the messages of these 4 prophets is a call to intimacy with God, and that the result of that intimacy would be a special grace and power to live through anything in the last days. Each one of them referenced a secret place in God that was available to us that would create a force field of peace and joy and boldness that would serve to deflect every lie, every threat, and every attack. Every one of them spoke of a level of power that would be revealed to the last breed of Christian on the earth. They describe a time of great extremes where wickedness and righteousness would ripen together. Those who choose to press into God will embody a faith that cannot be shaken by any threat or headline. They will have a presence of God continually on their life. Not just some of the time but all of the time. Disasters will go around them and regardless of how cataclysmic the events of the world become they will be conveyed safely into the kingdom of God. Enter the era of the extravagant asking. Wigglesworth’s reference to extravagant asking is a key to the final revival in the history of the world. He quoted Jesus who said “hitherto you have asked nothing, ask what you will and my father will give it to you that your joy may be full.” All of the prophets hold out a hope for America. They are trying to sober us up so that we can ask God to spare our nation. We do not have to have the fires, riots and the judgment that is well deserved. We can ask and receive resources beyond anything we’ve ever seen before. We can preach with devastating conviction, conviction that can pierce the most heinous sins of our time. We can ask and receive signs and wonders that exceed what the apostles saw. We can watch God fill the coffers of anointed ministries beyond anything we can imagine or have ever seen before. Finally: Truly God’s word is this, “I set before you life and death.” You can walk away from this message and continue the denial that pervades the church but I promise you this storm is coming. You can choose life, not just any life but the greatest life that God has offered any generation. Kim Davis, the Kentucky clerk locked up for refusing to issue marriage licenses to gay couples, was released from jail on Tuesday — as her case also drew the personal attention of two presidential candidates. The order for her release came from U.S. District Judge David Bunning, the same judge who initially jailed the Rowan County clerk last Thursday on a contempt of court charge. But Bunning lifted that order Tuesday. He said the court is “satisfied” that since last week, the clerk’s office has been issuing marriage licenses “to all legally eligible couples” — those licenses have been handled by Davis’ deputy clerks. At the same time, Bunning directed Davis not to “interfere in any way” with the marriage licenses now being issued by her office. “If Defendant Davis should interfere in any way with their issuance, that will be considered a violation of this Order and appropriate sanctions will be considered,” he said in the order. Bunning is the son of former Kentucky Sen. Jim Bunning. Her legal counsel did not say whether Davis had any intention to defy the courts. He said Davis will not violate her “conscience,” and said the court order “did not resolve the underlying issue.” He reiterated Davis’ request for an “accommodation” to remove her name from gay marriage certificates. “Kim still is asking for that today,” he said. The decision from Bunning came down just before Davis received jailhouse visits from Republican presidential candidates Mike Huckabee and Ted Cruz. They were ushered into the building shortly after the judge’s order was issued, as was Davis’ husband, Joe Davis. Davis’ stand has become a political lightning rod in the 2016 race, rallying social conservatives while drawing the scorn of Democrats; some Republican presidential candidates also have suggested she went too far in refusing marriage licenses. But 2016 candidates like Cruz and Huckabee, a former Baptist minister, have used her case to highlight the issue of religious freedom and reach out to evangelical Christians. After the Fed admitted over a year ago that the US unemployment rate (which in 2012 was supposed to be a rate hike “threshold” once it hit 6.5% and is now at 5.1%) has become irrelevant in a country where a record 94 million people have left the labor force, and with the Fed poised to hike rates even though US hourly wages have not only not increased for the past 7 years, but for the vast majority of the labor force continue to decline, some have asked – is there any labor-related chart that matters any more? The answer: a resounding yes, only it is none of the conventional charts that algos and sometimes humans look at. The one chart that matters more than ever,has little to nothing to do with the Fed’s monetary policy, but everything to do with the November 2016 presidential elections in which the topic of immigration, both legal and illegal, is shaping up to be the most rancorous, contentious and divisive. The chart is the following, showing the cumulative addition of foreign-born and native-born workers added to US payrolls according to the BLS since December 2007, i.e., since the start of the recession/Second Great Depression. The chart is especially important because what it shows for just the month of August will be enough to provide the Trump – and every other – campaign with enough soundbites and pivot points to last it for weeks on end: namely, that in August a whopping 698,000 native-born Americans lost their job. This drop was offset by 204,000 foreign-born Americans, who got a job in the month of August. … and you have a combustible mess that will lead to serious fireworks during the next GOP primary. Almost everything today screams fear. Our minds are battlefields…modern life keeps lobbing grenades of panic and dread. The overwhelming message of today is: true happiness and fulfillment are no longer possible…don’t try to thrive, just survive. 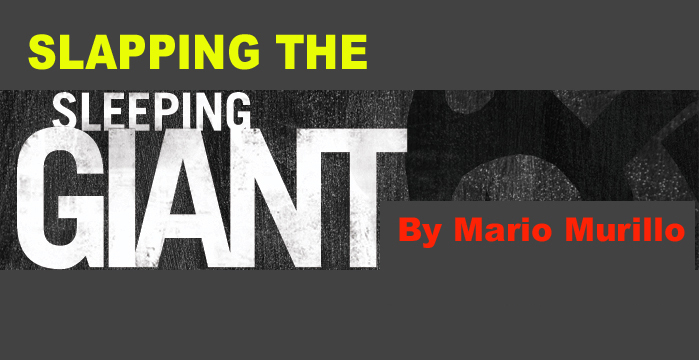 It’s time to make a defiant declaration: Despite everything, you can carve out an amazing life. What, in this mess? Yes…in this very mess. My title says DESPITE EVERYTHING. That is the central promise of this message. 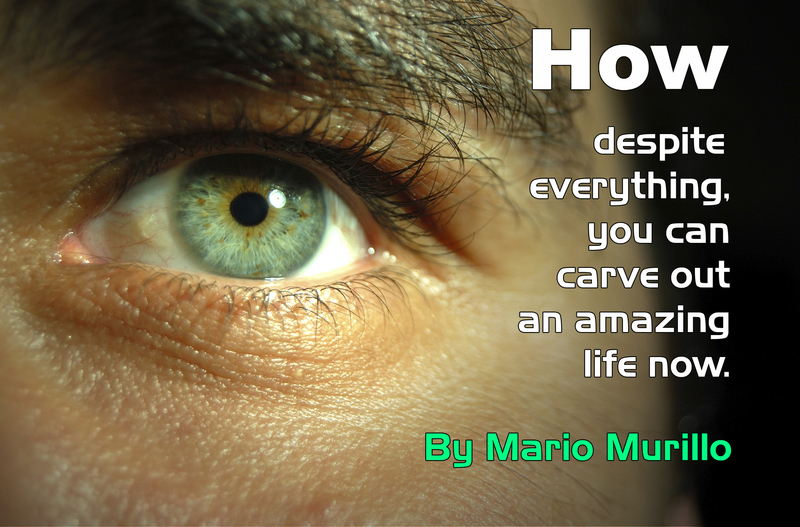 Something amazing can bulldoze the walls of despair and clear a path to an amazing life…even now. There are many opinions about how much life a Christian can actually have today. The opinions run the gamut. One extreme is the teaching that we are in the great tribulation and we must buy food and equipment and hide ourselves. I disagree with this teaching …(although; it might be wise to have some extra provisions on hand because markets will get hit.) This puts the church on the defensive at the very moment she should be most visible and engaged in a great Gospel offensive. The other extreme is denial. In this teaching, everything is a preachy, protestant-panacea. With all due respect, I disagree with Joel Osteen. You cannot have your best life now—unless, as John MacArthur observed—you are going to hell. Heaven is where you have your best life—earth is where you have an amazing life. There is a galactic difference between seeking an amazing life and a “best’ life. If your idea of an amazing life is to live without cares or challenges then let’s stop wasting each other’s time—you will get nothing out of this article. Amazing means: causing great surprise or wonder. That’s it! It is a life that blasts through limits. It is a life that does exactly what everybody said could not be done. -When the last spark of hope died for the slaves in Egypt–Moses saw the burning bush. -When the world was strangling in global famine–Joseph had already stored up mountains of grain. -When love and morality were at their lowest ebb–we find the love story of Ruth and Boaz. -At the moment of total despair–Esther brought deliverance. -When the Church in Acts was being destroyed–a laser knocks Saul of Tarsus down on the road to Damascus. They all lived opposite the limits of their era. They brought surprise and wonder. The most powerful phrase is “because you made God…your dwelling place.” The unbreakable bond created by the decision to dwell in God reduces stress, neutralizes terrifying images and sets you free to do impossible things. Again, you see a clear call to enter, shut the door and hide in God during times of distress. Enter the strong tower! There awaits you a supernatural sense of safety where great plans are created. From the repose of this stronghold you plan without panic, you move forward without distraction, and you know you will finish strong. 2 Discern: Satan has practiced telling lies for thousands of years. We know from scripture that in the last days Satan will sense his doom and break out in a frenzy of deception. Everywhere you look you see believers who have been fooled, who have been distracted and who have fallen into traps. False prophets are everywhere. Paralyzing images from fear mongers have taken many believers out of commission. Jesus solemnly warned his followers saying: “take heed that no one deceives you.” You can be fooled off the front line. You can be fooled out of your destiny. From your dwelling place in God you see (discern) lies. You will not chase a rumor. You see through the tricks and traps. You will not stop vital activities. You will keep moving forward. 3. Deliver: You see that your real reason for being here is to destroy the works of the Devil. This final point is so urgent that I want to take extra care to make my point. Everything about the Christian Faith is rooted in unselfish service. When that focus is lost, the church is overrun by deception, division, and weakness. You would be unstoppable if you left all of your sense of reward to your future in heaven, and only saw yourself here and now as a deliverer. Ministers fall into two categories: enablers or equippers. -Enablers lull believers into emotional dependency and selfishness. If a pastor gets you to continually look inward it can be disaster. -Equippers love people into strength, power and action. Under their influence, you will soon be out ministering. You will activate your gifts. The greatest need in the American church is a military grade mindset. You are a soldier bent on victory. You are not a patient bent on recovery. The soldier is not seeking comfort and ease. They relish combat and triumph on the battlefield. The sooner you realize that you are here to liberate others, the sooner you will stop being afraid and confused. You will stop seeking the false comfort of a “best” life, and you will embrace the excitement, and yes, the danger of an amazing life. God is hiring–there is no shortage of wages for the soldiers who renounce all to destroy the works of the devil.